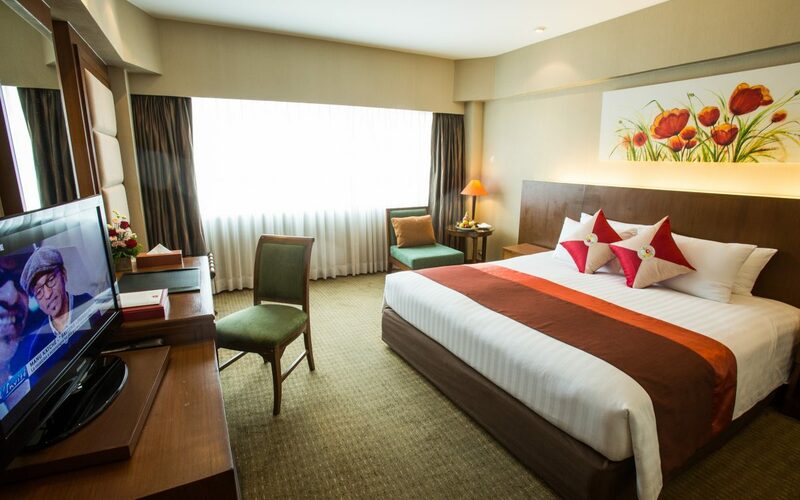 Located beside the Chao Praya River, the hotel offers rooms with river views as well as riverside dining and an outdoor swimming pool. It also provides a free round-trip shuttle boat service between its own pier and the nearby Saphan Taksin BTS Skytrain Station and free Tuk Tuk shuttle service to the Asiatique the Riverfront shopping mall, around a 5-minute ride. Guestrooms are elegantly furnished and have modern amenities.